While CRSM does not have a formal fine arts program, we do offer an Art Club that meets occasionally after school and on weekends. 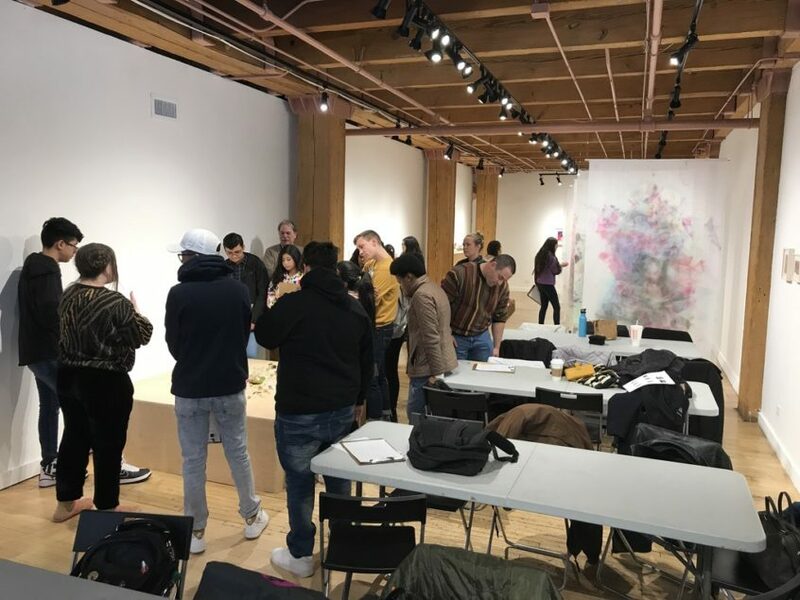 The Art Club brings in guest artists to teach students different mediums, works with local art studios to schedule hands-on field trips, and this month brought students on a field trip to The Weinberg/Newton Gallery in Chicago. Presented in partnership with the David Lynch Foundation, The Weinberg/Newton Gallery’s new installation titled Rebuilding the Present brings together artists whose works engage a spectrum of meditative practices. The paintings, objects, audio works, and performance documentation on view suggest that meditation can function as a tool of not only self-care but of social justice writ large, offering practitioners a sense of agency to cope in the ever-growing chaos of our world.